I finally took photos of the two shawls I blocked. They aren't great photos, outside modeled shots are for when it's not all snow and ice outside, but at least I can document them now. I was given two skeins of Simply Soft Paints in the Charisma colorway last Christmas. 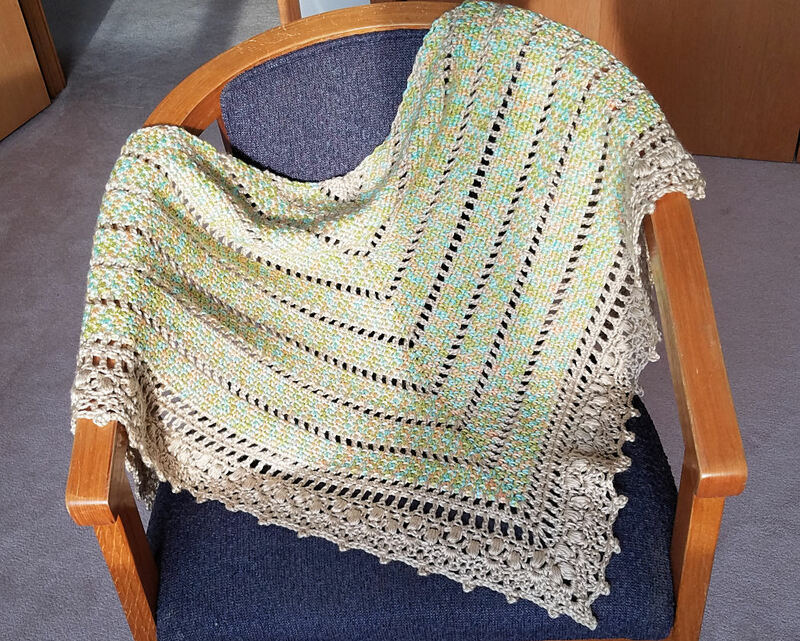 There wasn't quite enough for this shawl so I used Simply Soft in "Bone" for the very start, all the dc-ch1 rows, and the edging. I wasn't able to make this one full size because I was using one ball of yarn I picked up on clearance for $1.32. The pattern suggests you can stop after any row 8 and do the border but this is not true. You must have a multiple of 6 + 2 dc clusters in your last row 8 before you start the border. 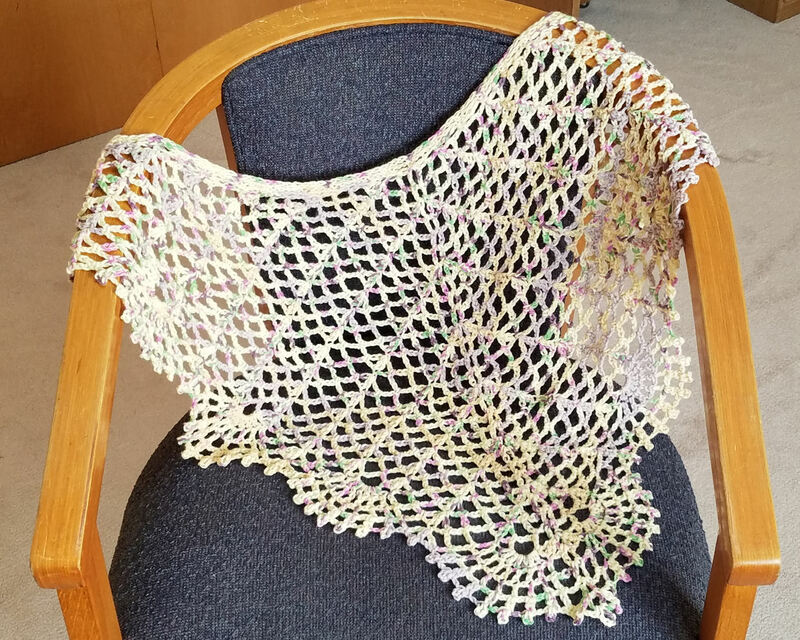 Blocking did a lot in terms of making this more a shawlette rather than a small kerchief thing, but I'm not sure how likely I am to use it. I'm a large woman and this is a very deep triangle, so my usual point down in front wearing for small triangles and crescents doesn't really work. This might end up gifted or donated.